Click any question to expand and reveal the answer. Still have questions? Send an email via the contact form. I sent AkaTako an email but I never heard back. What happened? Check your spam folder! Many email programs (especially Gmail and Hotmail) automatically mark emails as spam and send it to your spam folder. If you don't see the email in your spam folder or if there's just too much to look through please email info [at] akatako [dot] net directly AND add the email address to your address book. Any and all emails are usually responded to within 48 hours. It's Japanese: Aka = red & Tako = octopus. AkaTako.net is designed and maintained by the owner. It is hosted by Gachi Sites (who I do part time freelance work for). Why do you watermark artwork images on AkaTako? All of the artwork is watermarked because it is actually illegal to reproduce the images electronically. As an authorized reseller, I wish to show people what they are buying but putting copies of books and artwork on the internet actually goes against copyright law. Adding a watermark prevents people from printing out the artwork but still allows them to preview what they are purchasing. Are the paintings on AkaTako.net really original paintings? Yes! AkaTako.net works directly with artists and galleries in Japan to bring you original works of art. Many of them have been reproduced as prints, posters, and in books but any item listed as an "original" is a one of a kind original created by the artist themselves. If something is "signed" does that mean the artist signed it? Or is it stamped on? If any item says "signed" that means that the artist themselves signed it by hand. I will never list a stamped or mechanically printed signature as "signed". Is it possible to commission an artist to paint an original piece just for me? It is always possible to request! Just send an email to info [at] akatako [dot] net with the name of the artist you like and a brief description of what you are hoping for. AkaTako.net will get in touch with the artist or their agent and let you know if it is possible and what the cost would be. What is the condition of a particular item on AkaTako? All items listed on AkaTako are in brand new, perfect condition unless otherwise stated. If an item is used, slightly damaged, or less than perfect the condition will always be explicitly described in the description. Where do you get the items on your website? Most of the items are purchased from galleries or publishers located in Japan. Some items are purchased directly from the artists themselves. How can I find the tracking number for my package? If your package has tracking available you will receive the tracking number in an automated email at the time your package is shipped. Please remember to check your email's spam folder if you don't receive it. Please email info [at] akatako [dot] net if it has been more than 48 hours since you placed your order and you have not received the tracking number. U.S. orders are always shipped with delivery confirmation. Only international orders that are shipped with priority mail can be tracked. "Regular mail" does not provide tracking. Please take a look at the shipping page for a detailed explanation. Packages are usually shipped within 1 - 2 business days (excludes holidays and weekends). I received the wrong item, what do I do now? This has not happened yet but if it ever does you will need to return the wrong item (AkaTako will pay for shipping it back). The correct item will be sent to you! My item arrived damage, what can I do? If you chose to ship your package with insurance, just email info [at] akatako [dot] net describing the condition of the package. Please don't throw anything away! I will put in a claim with insurance on your behalf and either refund the price of the item OR replace the item based on your preference. If you did not ship with insurance there is not much that can be done. AkaTako.net packages items very carefully but if the post is horribly abusive to the package sometimes it cannot be helped. If you are concerned about damage please pick a shipping option that includes insurance. Will I be charged VAT or import tax on my purchase? Shipments originate from New York, USA. Any shipments going to a U.S. address will not be charged VAT/import tax. It is likely that shipments to Europe, Asia, Africa, and South America will be charged an import tax. AkaTako does NOT pay the VAT/import taxes for you. It is up to you to know your laws and to pay the fees. Because the VAT/import taxes vary for each country, please search for your country to find out if you may be charged. Some countries do not charge for items under $30 while some place the limit at $100. Some countries charge smaller percentages, etc. In general, AkaTako will provide invoices on the outside of the package for "Priority Mail" shipments or purchases over $100. If you require invoices please request them in the "Order comments" section. Unfortunately, the US postal service has significantly increased their international rates. The good news is that the rates are actually lower when you buy more items - the heavier the package, the better the rate. You can always email info [at] akatako [dot] net if you'd like a personalized shipping quote. No. All sales are final. Most of the items on AkaTako are rare and many are one of a kind. If you are unsure or want to compare in person please send an email to info [at] akatako [dot] net for advice before you purchase. The condition of each item is carefully described (if it is not brand new). Please read the item's description and feel free to email if you have questions or want detailed close-up photos before purchasing. Add the print you wish to purchase to your shopping cart. Make sure that there are no other items in the shopping cart. Click the "Checkout" button. Type your shipping and billing address. Click the "Click to calculate shipping" button and select the "Free Sorayama Shipping" option of $0. Add your payment information and complete your order. Prints are usually shipped from Tokyo in about one week after order is made. Shipping is by EMS and inludes tracking information. After the print is shipped the tracking number will be emailed to you and also added to your order. You can check the status by logging in to your account on AkaTako. [?] In the unlikely event that a print is sold out or no longer available, your full purchase price will be refunded. [?] If you do not see the "Free Sorayama Shipping" option, please verify that you only have Sorayama prints (numbered print 5 through 30) in your shopping cart. 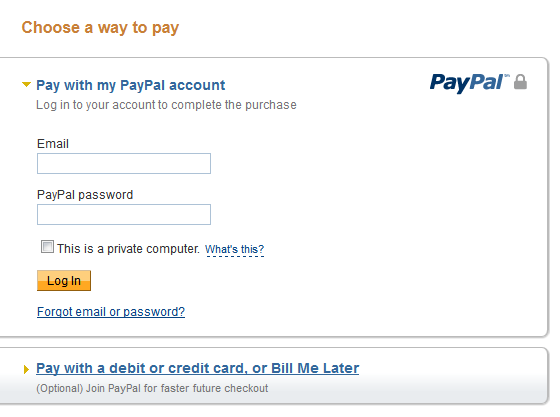 I don't have a PayPal account, can I still checkout using PayPal? Type in the requested information and click Pay to process. After the payment is complete, it will send you back to AkaTako and you will receive confirmation emails for your order. Can I come to your shop and buy in person? At this time, there is not a physical location that you can visit to browse the items. I'm looking for something that you don't have, can you help me? Probably. AkaTako will certainly try! Just send an email to info [at] akatako [dot] net with a description of what you are looking for. If I can find it, I'll send you an email with a price/description. If I am unable to find it I will keep your email address and let you know if I find it in the future. The item I want is sold out but I want it. What do I do? If the item is temporarily sold out, just click "Notify Me" (button at top right) to be added to a wait list. You'll be notified when it's back in stock and have the opportunity to buy it before it is even back on the website. If the item is permanently sold out, you can still click to be notified but it is unlikely that it will ever be available again. IF it becomes available again you will be notified via email. "Notify Me" requests are always confirmed via email that I have received your request. Please be sure to check your spam email AND add info [at] akatako [dot] net to your address book so that you receive notifications. Your Visa, Mastercard, Discover, or American Express card can be entered directly during checkout. Payments are processed by Authorize.net and no credit card information is retained by AkaTako.net. You can use your PayPal account to pay with your bank account or any credit card, PayPal can be used without an account to pay with a credit card. Higher priced items can be paid for by bank transfer or wire, please email info [at] akatako [dot] net for details. U.S. clients may pay by check, money order, or a direct deposit to Citibank. Email info [at] akatako [dot] net with the list of items you are interested in. Why is PayPal showing the wrong address? 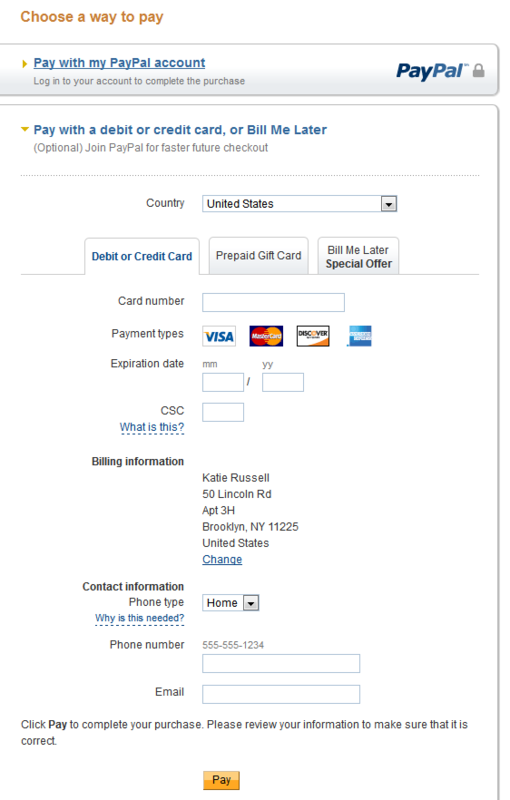 The checkout page has a spot to put your shipping address and your billing address. The billing address is sent to PayPal for verification purposes (it's not possible to send both). AkaTako.net will always ship your order to the shipping address that you type into the checkout form. An item which is available for pre-order means that AkaTako has already ordered the item and has a ship date but the item is not yet in AkaTako's hands. If you order a pre-order item, it is reserved for you and will ship to you as soon as it arrives to AkaTako (the date should be listed in the beginning of the description). Sometimes a pre-order item sells out before it even arrives to AkaTako!